Commercialization CMO – More than 46 percent of CMOs fall into this category. They are primarily responsible for sales and marketing, such as hosting events, creating digital content and running promotions on social media. 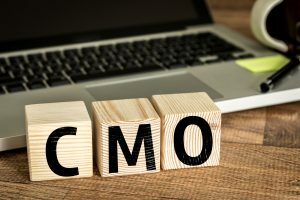 Enterprise-Wide CMO – Enterprise-wide chief marketing officer roles cover about 23 percent of CMO roles. These CMOs are strategic players in terms of creating more profitable businesses. They are often vital components of the product design teams and sales innovation teams. Strategy Focus CMO – More than 30 percent of CMOs focus on company strategy. They analyze company growth strategies and plans to determine how well they work and where changes can be made. These CMOs focus on product design, customer insight, and innovation. People Skills – A good CMO must have the people skills necessary not only to work with his or her superiors but with a team of other marketing specialists. In some cases, the CMO will also be required to speak directly to current or potential customers. Analytical Skills – CMOs must have strong analytical skills. They must be able to look at large amounts of intricate information and find patterns that show what works for a company and what needs to be reimagined. Creative Skills – A CMO must be creative. In many cases, he or she will need to use that creativity to design new products, create their packaging and imagine entire ad campaigns that are both cost-effective and engaging enough to bring in new customers. Strategy Implementation: This is the role most closely related to the traditional responsibilities of the job title. The top operations executive can focus his or her efforts on making the C-suite’s strategies a reality. This may be executing the CEO’s long-term goals, working with the CFO to find well-aligned acquisitions or a host of other implementation-related jobs. Change Leadership: Perhaps the only constant in the business world is change. In some cases, an organization will bring on a COO to handle the leadership change of a particular strategic shift. In other cases, an organization may want someone in the role to help manage the ever-changing needs of the organization in a dynamic world. Experienced Mentorship: Developing leaders is essential to the success of an organization. The chief operating officer can offer his or her experience and insight to help develop younger leaders. This can be a significant job, especially if the demands on the CEO prevent him or her from filling this role. 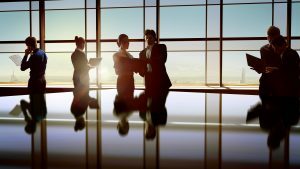 Partner: Sometimes chief executives simply need someone to work with them to get things done, whether that is as a sounding board, someone to serve as backup or someone to be a right-hand. This facet of the job is why the top operations executive has often been considered the second-in-command in many organizations. You've finally taken the plunge and opened that little store you always wanted. Perhaps you've even planned for this moment for years, but the reality is often far different from what you imagined. The United States government reports that 90 percent of retail sales still happen in brick-and-mortar stores. There are many reasons people shop in-store instead of online, including 62 percent indicating they like to see or touch an item before buying. There are many advantages to owning a brick-and-mortar store, even if you also have an online presence. However, with any new business, there are unexpected situations you'll face in your first year. Nearly every company deals with cash flow issues at some point in its growth process. Either revenue doesn't come in as quickly as you think it will and you owe your suppliers and employees more than what's coming in, or you have so many orders to fill that it's hard to find the funds to keep inventory in stock. Set up accounts with suppliers now. This way, you'll likely have some leeway on payments if needed. While it's best to pay your invoices immediately, having net 90 instead of cash on delivery may make or break you in the first few years. Create an emergency fund. When cash flows well, set aside some for when it doesn't. Take out a personal loan. While this isn't the best option, it is an option if your business is profitable but you're short on funds at the moment. You can also look into taking on an investor or two, but then you'll have to share profits, which creates another set of issues. A small percentage of people will complete a transaction and then file a claim for a refund through their credit card company. In most cases, the credit card company sides with the cardholder. You are then out the money from the transaction and the item you sold to the customer. Over one year, about 16 percent of survey participants indicated they experienced payment fraud. When estimating profits and losses, factor in losses from payment fraud. It isn't common, but it does happen, so count on several each year and plan for how you'll overcome the loss of income. One thing you'll discover in your first year is how complicated keeping up with inventory flow is. You must get a handle on which items sell quickly, what needs to be ordered and items that aren't doing well (so you don't order more). A POS system allows you to see at a glance what's in your inventory and what is and isn't selling. Look for a system that provides an option for a customer loyalty program as well. Editor's note: Looking for a POS system now? Fill out the below questionnaire to have our vendor partners contact you with free information. The proper signage announces your business to the world and draws in the foot traffic a startup needs in the beginning. The majority of people still prefer shopping at a brick-and-mortar store, but they have to know where to find you and what you have to offer. Think through the messages you share on your signage. Add outdoor signs, a prominent business sign, and even signs on the floor or sidewalk in front of your store. Plan your signage so that you have a variety and it's easy to spot from a distance, at eye level, and up close. If you don't fully understand the market in your industry, you risk becoming irrelevant. Around 42 percent of business owners point to a lack of need in the market for their product or services as the reason for their failure. Spend time studying your market and any technology changes or advances. Look forward to what might be important in six months or a year. Blockbuster Video is an example of a brand that was huge but failed to see the technological changes taking place around it. Because the company didn't prepare for streaming and mail-order video rental services, it lost its edge and faded into obscurity. About 19 percent of small businesses fail because the competition overtakes them. If you want success in your first year and beyond, understand who your competition is, what their message is and how they promote their brand. If you want success, you must not just do the same amount of marketing – you must also rise above what the competition does. If they are known for their customer service, make yours that much better. Look at every aspect of your competition, identify their weaknesses, and make their weakness your strength. The team working for your startup can make or break you. Because you're new, many of the top workers in your field may shy away from taking on a position with you for fear your business will fold after the first year. However, if you offer decent pay and a fun work environment, there are others who'll take a chance on you. Communicate your goals and philosophy as a brand during the interview process, and only hire those who are as excited as you are about building something amazing from the ground up. If you hire someone who winds up not being good fit, be fair, but tell them it's time for them to look for something else. You can't afford to keep someone on board if it isn't working for either of you. Your team can make or break you in your first year. Your first year will fly past. In that time, you'll gain knowledge, make mistakes and have success. You might want to keep a journal and note any lessons about running a business you learned along the way. You never know when you'll come across the situation again and need to refer back to the solution, or at least not repeat the same mistake. A startup is exciting and holds the potential for fantastic success, so dig in, enjoy the journey, and learn from those who came before you.